WHEN you mention the Yamaha R6 the usual response is “ah how cool” or “nice bike”, and sometimes there’s a wistful look back at the old clunker they ride, and a wish they could be on a cool bike like you. One day mate, one day. 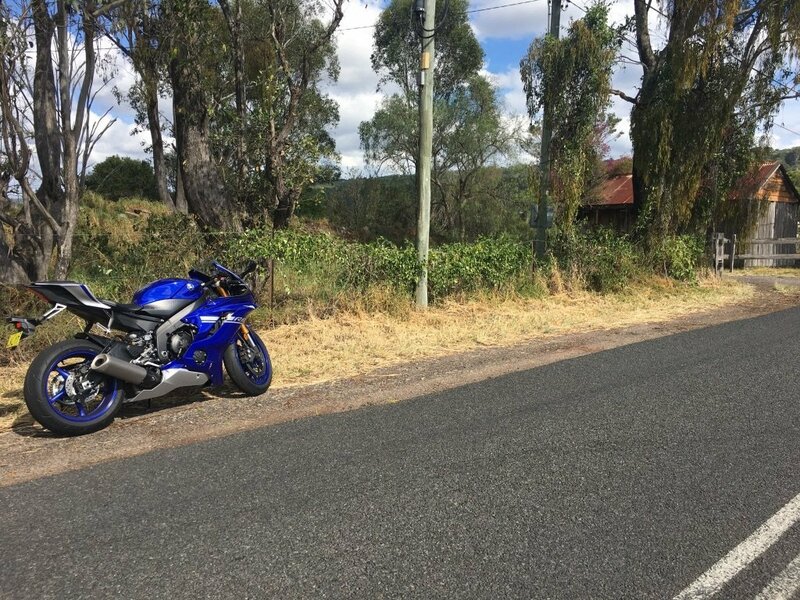 First introduced to the Australian market in 1999, the Yamaha YZF-R6 is just that kind of bike. The kind people aspire to own, and the 2018 edition is all that and more, with the new model better than ever. 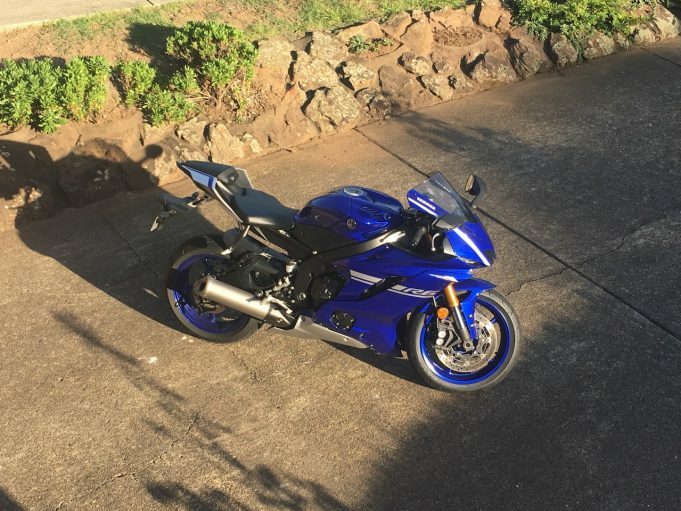 Back when it launched, it represented the Japanese bike maker’s entry into the super sport arena, garnering a huge and instant following, to become, dare we say it, one of the most iconic bikes on the roads today. It has certainly benefited from a number of technological advances, thanks to its racing pedigree, while still retaining its original soul, if you will. No more evident was that, than when taking a ride to the Road Warriors Café at Mt White, near Sydney. On a perfect Autumn Sunday morning, we hit the Old Pacific Highway and gave the 2018 Yamaha YZF-R6 a chance to do its thing. Riding this bike was like being let loose with your dad’s car the day you passed your driving test. There was excitement, and a hint of fear, and a lot of pure exhilaration. For the record, the Café was pretty packed when we got there, so plenty of comparison discussions ensued with a number of the riders on hand. 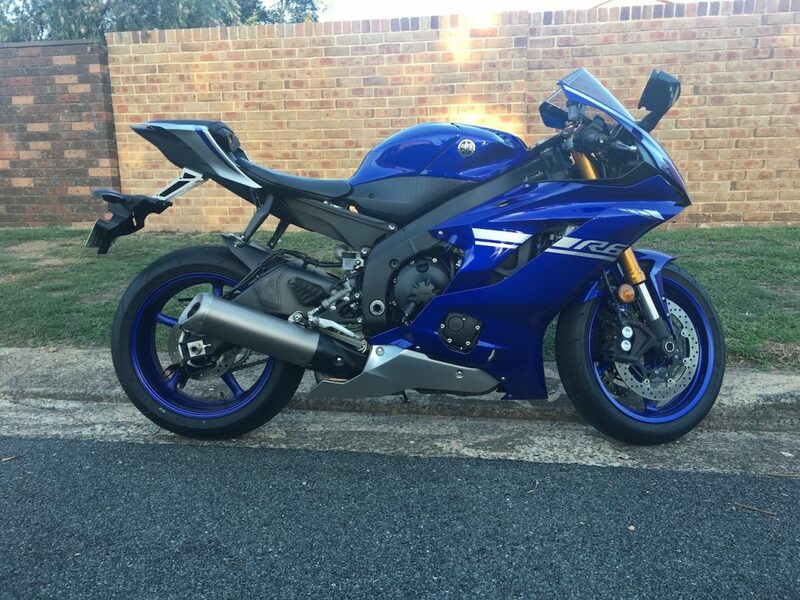 The feel of riding the R6 comes from the excellent handling characteristics, demonstrated as we wound around long graceful curves, with the bike equally at home on the more challenging, tighter corners as well. It’s light and nimble, and feels like a smaller bike than it actually is; the result of the R6’s new bike magnesium sub frame and aluminium tank. Reducing the weight has made a big difference to the handling and the overall feel or the ride too. 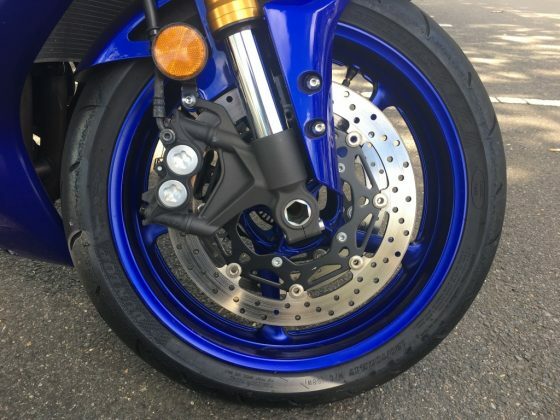 The technology on this bike is on-point as well. It has a traction control system (TCS) operated by a switch on the left grip, which can be adjusted on the fly to suit your mood or riding conditions. 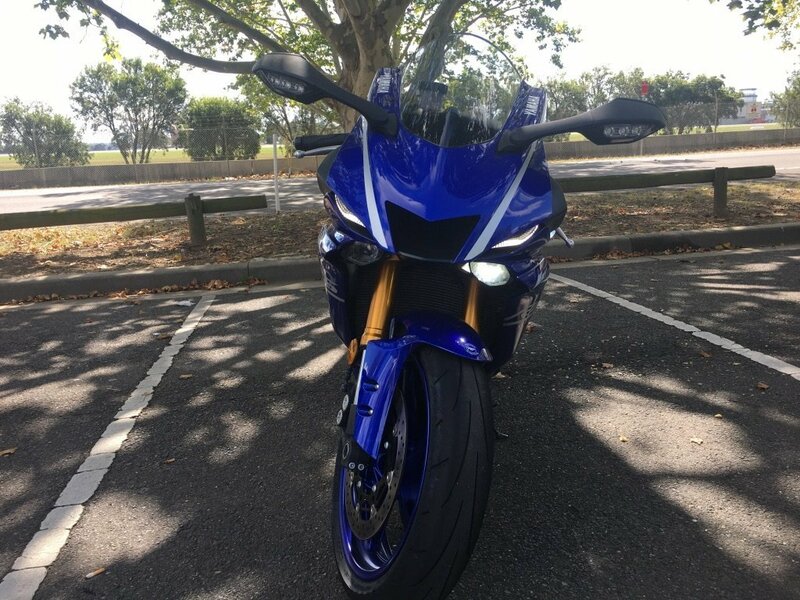 It also comes with the Yamaha Chip Controlled Intake (YCC-I) and the Yamaha Chip Controlled Throttle (YCC-T) to ensure that your degree of control is at its peak in all riding conditions. 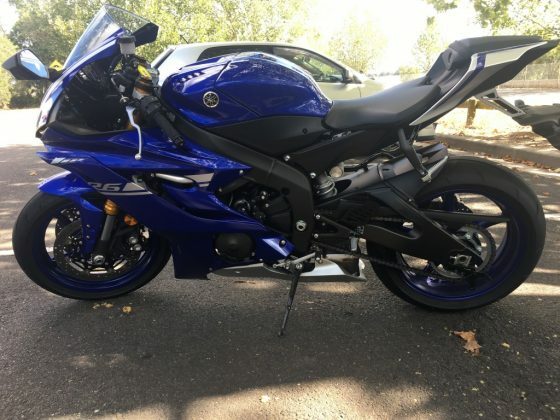 It’s powered by a 599cc 4-stroke DOHC 4-cylinder motor, paired with a constant mesh six speed gearbox, delivering a smooth, exciting ride that’s a whole lot of fun and potential speeding tickets. We are of course not condoning breaking our speed limits, and suggest you should head to a track day at a local circuit if you really want to test the limits of this bike. You could certainly have buckets of fun racking up plenty of track miles. Oh, and in case you were wondering, it stops real good too. Effective stopping power is taken care of by the 320mm dual discs on the front with aluminium 4-pot opposed piston calipers. Basically, it stops real good. The only thing that can let this bike down would be the rider running out of talent, and the fact the seat takes a little getting used to. It’s pretty hard and not very comfortable, fixable sure, but it should be softer. With improved aerodynamics bringing some very sharp styling and great lines it definitely draws the eye, and we are pretty sure that no matter what road you choose to ride on, there will be plenty of interest and looks of envious looks. It’s available in three colours – Race Blu, Tech Black and Intensity White/Matt Silver. 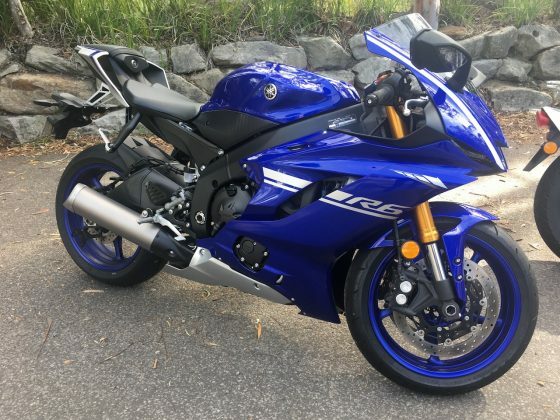 This bike looks awesome in any of these colours, and hits the road at $17,499 plus on-roads. Our 2018 Yamaha YZF-R6 was supplied by Yamaha Motor Australia. To find out more, contact your local Yamaha dealer. Pros - power delivery; smooth gear changes.